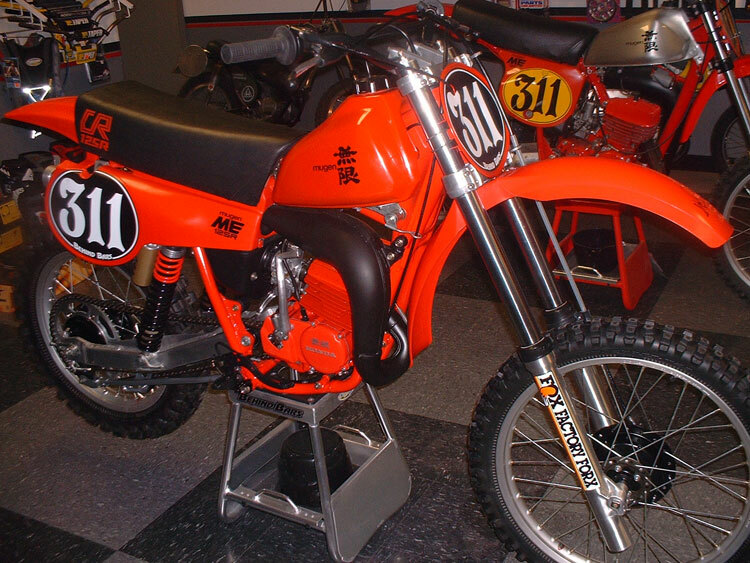 This is a 1980 Mugen 125 that I picked up several years ago. I raced it a few times and then started gathering up NOS parts for a full restoration. There are no reproduction parts on this bike other than graphics. It is totally period correct so everything on the bike was available in 1980. Non-stock parts are the very rare 1980 Mugen air cooled top end, period correct Ohlins shocks that were purpose built for this bike in 1980, Fox Forx, Beets silencer and either a DG or a Pro-Fab swingarm. There are no painted plastics. The tires and rims are original also. It took me around 5 years to find everything. Without this site I could not have built this bike. Thanks for this really cool site Nathan.